Apple is allegedly at work on its own graphics processor technology, which —if completed —would bring almost all of its mobile processor design in-house. The company has been developing a mobile GPU "under extreme secrecy for a few years," according to Fudzilla graphics industry sources. There doesn't appear to be a firm timeline for when the technology will reach shipping products, and indeed Fudzilla suggested that there's a chance it might not reach fruition. While Apple relies on a custom ARM-based CPU design for the A-series chips in iOS devices and the Apple TV, the GPUs in those products are often slightly modified PowerVR units supplied by Imagination Technologies. 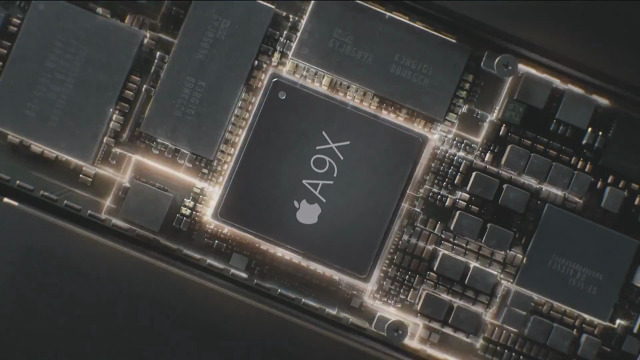 The iPad Air 2, for example, uses a PowerVR GXA6850 octa-core processor. The iPad Pro, though, appears to be using a special 12-core GPU design. That could back the notion that Apple is building towards its own graphics hardware. Controlling every aspects of its processors could let Apple further optimize the efficiency and power consumption of its devices, a special concern as it forces designs thinner at all costs, and ventures into wearables. Many rival phone and tablet makers use third-party CPUs and GPUs from companies like Qualcomm and Nvidia, limiting how tuned they can be for a particular OS or set of demands. Apple, however, has already made a significant investment in Imagination Technologies that makes rumors of such a shift suspect. Apple bought a 3.6 percent stake in Imagination in 2008, and has since increased that to almost 10 percent. The two companies also have a far-reaching licensing agreement, though the exact terms remain unknown.